The MGB never had the loudest ticking flasher unit, particularly at higher speeds either in the roadster or the GT, and some without the hearing sensitivity of a bat might find themselves inadvertently leaving the indicator signals on when they shouldn’t. You can add a buzzer to give more of an audible warning, purchase a 12v DC buzzer and simply connect its two wires to the two terminals on the flasher unit. Some electronic ‘buzzers’ are polarity conscious and will have red and black wires, in this case, for negative earth cars (later MGBs), connect the red wire from the buzzer to the green on the flasher unit and the black to the light-green/brown wire on the flasher unit. If you use ‘piggy-back’ spade connectors on the wires from the buzzer you can connect and remove it simply by unplugging spades, no cutting or soldering of wires. For the earlier positive earth cars simply connect the buzzer the other way round. When you first operate the indicators you won’t hear anything – don’t panic! It is only when the lights go *out* on the first click of the flasher that the buzzer will sound, i.e. it operates in anti-phase to the lights. If you find the buzzer too loud you can always wrap a couple of turns of insulating tape or turn the radio up. Please note on some older cars some flasher units only have three wires rather than the four on more recent cars. However by connecting the buzzer to the mauve and green wire and then to earth (negative earth car) it should work successfully. A switch can be fitted into the circuit to switch the buzzer off if it is found to be too loud when the roof is up. If required a fuse can be added to the circuit for safety. 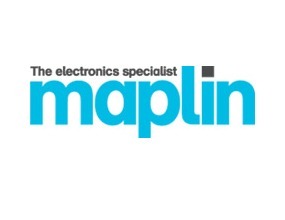 All the components were purchased from Maplin Electronics for under £10.